Interaria has just completed a web design and development project for North Texas based Frontier Waterproofing Inc, a historical masonry restoration company. Global internet usage will more than double by 2015, and most of these users will be mobile [Boston Consulting Group, Mary Meeker, Kleiner Perkins, Morgan Stanley Research, Berg]. Today, a third (31%) of adult U.S. mobile Web users say they now go online mostly through their cell phones [Cell Internet Use 2012, by the Pew Research Center’s Internet & American Life Project]. Tablet adoption has gone up by 400% in the past year [Nielsen, June 2012] reaching a “critical mass”. By 2016, over one-third of US adults are expected to own a tablet [Forrester, March 2012]. If your company is looking to create a large web application or a dynamic website with several web application systems, you may have tens of pages of project specs and lots of ideas that as an end result need to be turned into a functioning database schema with elegant user interfaces. Some features for the new web application are regarded crucial while some other features may not be a top priority or may require more thinking and clarification as the project planning moves forward. In many cases, it is almost impossible to state with a certainty all required features for the web application as new ideas emerge during the project’s development, new feedback becomes available from focus group discussions, and certain features start feeling unnecessary while some become further emphasized. How long does it take time to develop a web application? What is the cost? An agile project development approach doesn’t intend to tie the client to a strict contract with a strict timeframe and a strict final number but instead acknowledges that web application development may be a fluid and rather organic process ideally carried through as interactive teamwork in close communication with the client. The web based software applications that are developed in an agile framework allow revising development goals in monthly cycles during the project according to the direction and feedback from the client. Goals for each development cycle will be stated and discussed monthly before any new work begins. The client may revise the development plan during the project. The client may revise any existing work and may decide new priorities. The client may decrease workload at any time and consequently pay for less development time. The client is not tied with the contract to have certain features developed but has the control to say ‘yes’ and ‘no’ on the go. To discuss your company’s web application needs and what type development approach would work best for your company, please set up a consultation time by calling 214-909-3900. We have just launched a new mobile web app. 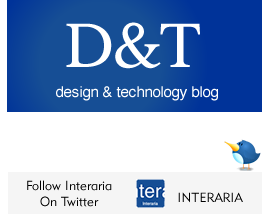 This mobile version of the Interaria website launches automatically for users accessing our website with smartphones. The mobile web app features key aspects of our services with emphasis on content management and web application development. For Dallas mobile app development services, please call 214-909-3900. Higher pixel density Retina screens (on iPhone 4 and 4S) require special coding of images. When developing a new website or mobile application it is important that the solutions are developed alongside the very latest information on the industry standards, technologies and user’s hardware. For instance, the recent iPhone 4 and 4S feature Apple’s Retina Display with a higher pixel density than found on many other available smartphones. This higher pixel density means that images on the iPhone 4 and 4S have the potential to look much sharper than on the “older” iPhone 3GS and other smartphones. When developing mobile media, Dallas mobile app developer Interaria provides codes that aid the user’s smartphone to display the most optimal resolution of any image. In detail, we code two different image sizes for each displayed image. We apply an extension on the higher resolution image along with CSS3 code so that the mobile browsers can tell the difference. This way images will look perfect on older smartphones with lower pixel density screens and great when viewed on devices featuring Apple’s Retina Display. Your website may have very different content and structure needs 12 months from now. Scalability design creates elegant solutions for new page, content, data and growth. The website scalability design process approaches a website as a dynamic platform that accommodates and adjusts to new brand messaging, new content and revised navigation structures. While some decisions may need to made in the context of the website’s layout style, page layout styles, and integration of identity elements, the website’s content – and the navigation that controls it – at least in most parts should be regarded as fluid as possible. Core to scalability design is a strong commitment to functionalism: the design’s positive attributes and identity should not pose significant compromises to the website’s usability, content growth, content reduction, and changes in the navigation structure. Your website may have very different content and structure needs 12 months from now. Scalability planning and testing make sure that each website and web application can elegantly handle an increased number of web pages, increased text and digital content and increased data input by a growing number of site’s users. User flow design moves beyond designing individual web pages by thoroughly mapping how a user will experience the website. User flow design aims to encourage the customer (visitor) to enter the website’s interaction space where the user’s needs can be addressed. What is the interest in visiting the site? What is the page the user is landing to? What is the user looking for? Understanding the context of where the user enters the website helps to define the first steps of the user flow. Interaria utilizes Google Analytics for analyzing the user traffic to a site, and optimally designs specific user experiences based on the context that the user is enters the site. For instance, if a user is entering from Google, getting the specific informational message across fast is important. On the other hand, for a user who is accessing the site from Pinterest, the emphasis on the visual image content is important. Specific landing pages can be incorporated to a site with specific content in order to better target each visitor’s need based on where they are arriving from. When applicable, with coding geolocation API scripts, we can code the website to provide location-based (geospatial) information, typically with an emphasis on local information, upon the user agreeing to this. What is the desired outcome for when the user visits the site? How is this outcome encouraged in the user flow design? This is the most important question but it is quite often ignored. It is highly encouraged to outline the #1 desired outcome for when the user visits the site. In most cases this is having the visitor contact the site’s owner, subscribe to a service, make an online purchase, leave a comment for follow-up, or share some content from the site via social media. Which ever the most desired outcome is, the user flow design should make clear pathways to support this action. Call-to-action icons, contextual image icons, personalized messaging, and strong user interface functionality in the site’s navigation structure and information architecture can support the primary goal of inviting the user to interact. Even though the #1 favorable interaction would not happen on the first visit, integrating the user to the interaction space can increase future interaction, and take make the user flow closer to the center through additional interaction such as through social media or newsletter emails. What is the interaction point after the visit? How is this interaction point established through the user flow design? In most cases, it is important to plan how the users who don’t want to take #1 action (such as purchasing or contacting) when visiting the site can be reached later. A user flow design that encourages users to take a path for a newsletter sign up and social media participation can keep the interaction points open for future contact or follow-up. Type Connection, a typographic dating game website, invites typeface enthusiasts to explore how different fonts mesh and match, and support and differentiate. For two font types to create a harmony with interest, they need to differentiate and contrast and yet feature some common principles in style: legibility, stroke weight and modulation, consistency in weight, and fluidity are all variables that contribute to a make it or break it relationship.